WASHINGTON — President Barack Obama welcomed Tibetan spiritual leader the Dalai Lama to the White House on Friday even as China warned that the meeting would hurt the relationship between the two nations. Obama spoke to the Dalai Lama for nearly an hour, praising him for his commitment to peace and nonviolence and expressing his support for his “middle way” approach of neither assimilation nor independence for Tibetans in China. It did not assuage the Chinese. “By arranging a meeting between the president and the Dalai Lama, the U.S. side will grossly interfere in the internal affairs of China, seriously violate norms governing international relations and severely impair China-U.S. relations,” Chinese Foreign Ministry spokeswoman Hua Chunying said in a statement. China accuses the Dalai Lama of pushing independence in Tibet, a region that Beijing says is part of its historic territory but where it has been accused of extensive human rights violations. The Dalai Lama, who fled to India in 1959, denies those allegations, saying he only wants enough autonomy to protect Tibet’s traditional Buddhist culture. White House spokesman Jay Carney did not say Friday whether China was given advance notice of the meeting, which was only announced publicly Thursday evening. “The president and the Dalai Lama agreed on the importance of a positive and constructive U.S.-China relationship,” Carney said. In the meeting, Obama reiterated his strong support for the preservation of Tibet’s unique religious, cultural and linguistic traditions and the protection of human rights for Tibetans in China; the Dalai Lama said he hopes that dialogue between his representatives and the Chinese government will resume, according to the White House. China has repeatedly rejected accusations of oppression, saying that living standards have improved for the Tibetan people. Bonnie Glaser, a senior adviser for Asia at the Center for Strategic and International Studies, said Obama’s meeting with the Dalai Lama was similar to those with previous U.S. presidents of both parties. The Dalai Lama’s visits to the White House began in 1991 and include meetings with four presidents. “The Chinese know exactly what to expect and the U.S. is very careful about how this is done,” Glaser said. The Chinese reaction, she said, “varies marginally. Sometimes there’s one harsher word said. But the reality is that this is a long-standing practice that the U.S. president meets with the Dalai Lama. The Chinese don’t like it, they do protest and the U.S.-Chinese relationship moves on. “It’s not going a deal a fatal blow to U.S.-China relations,” she said. As president, Obama has met with the Dalai Lama twice before — in February 2010 and July 2011 — in his capacity as an internationally respected religious and cultural leader. China responded to those meetings with similarly angry comments. The meeting Friday took place in the Map Room in the residential part of the White House, not the Oval Office, where presidents meet with heads of states and other dignitaries. No journalists were allowed in the room. The White House released its own photo of the meeting. 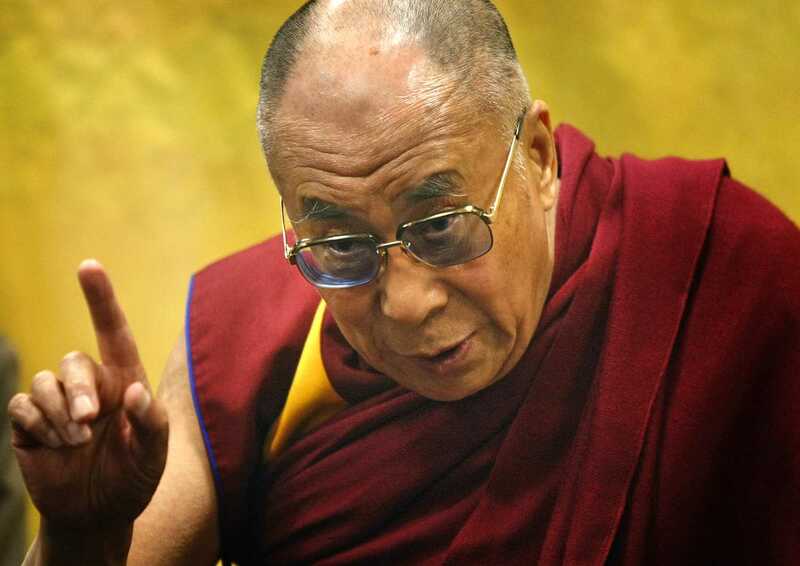 China has retaliated against international leaders who host the Dalai Lama or criticize China’s tight control of Tibet. A meeting between British Prime Minister David Cameron and the Dalai Lama last year created tensions between London and Beijing. Friday’s meeting follows a trip to Beijing by Secretary of State John Kerry. Obama is likely to see Chinese President Xi Jinping at a summit in the Netherlands next month and is scheduled to travel to four Asian countries in April, although not to China. The Dalai Lama’s meeting with Obama is part of a swing through the United States that will have him meeting privately with Chinese students in California and Minnesota, and speaking to larger groups in Los Angeles, San Francisco, Berkeley and Santa Clara in California, and Minneapolis and St. Paul in Minnesota. He spoke Thursday at the American Enterprise Institute and returns to Washington on March 7.